Forget your regular cuppa Joe - how about switching to a morning cup of Marley? Rohan Marley, son of legendary reggae singer Bob Marley, has launched Marley Coffee, a sustainable and environmentally friendly coffee company that offers "sustainably grown, ethically farmed and artisan roasted" coffee. The younger Marley was inspired by something his father always said: that when all was said and done with music, he'd like to return to farming. Rohan Marley, inspired by his father’s passion, has turned that dream into a reality. The use of the Marley name wasn’t simply a cash grab; the business is intended to honour the legend, and to keep his spirit alive with a company and product he would be proud of. “My father came from the farmland in Nine Mile. There, he learned a deep respect for nature and humanity. Respect that helped guide his life. He said he would return to the farm one day. That was his dream. 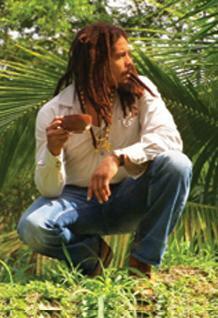 I founded Marley Coffee to honor my father,” Rohan Marley says on the company web site. So while at first glance it might seem an odd pairing - Bob Marley's name associated with coffee - this is the rare celebrity product that is actually in harmony with the hopes and interests of the star. Marley Coffee promotes unity and well-being, two things that the "Jamming" singer believed in whole-heartedly. Plus, who doesn't need a shot of Buffalo Soldier in their coffee come morning time? Launched in partnership with Shane Whittle, Marley Coffee is made for coffee purists: no pesticides, herbicides, fertilizers or other additives are used. All of Marley Coffee is Fair Trade Certified and organic, and beans are sourced from around the world, including Central America, Ethiopia, and, of course, Jamaica. Marley Coffee also pays its farmers sustainable incomes (twice the average wage), and Marley hopes this commitment to creating organic coffee that supports local farmers will inspire other coffee producers to make the switch to organic and ethical practices. Marley Coffee is available at London Drugs. On Monday September 17th and Tuesday September 18th, Marley Coffee will be available for sampling at the Cambie and West Broadway London Drugs between 11:00 a.m. and 5:00 p.m. 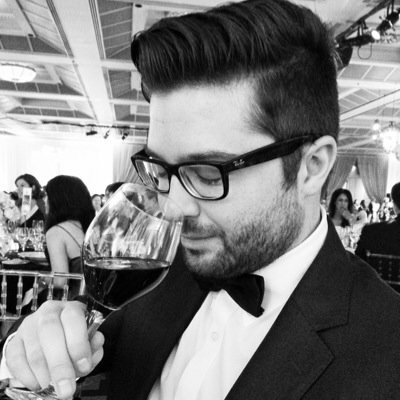 The Georgia and Granville London Drugs will have sampling between 1:00 p.m. and 7:00 p.m.